Heroic grammar and usage | Write Your Own Story! You may have noticed a seemingly random application of Capital Letters throughout this Journal.I assure you, fellow Hero, this has been done intentionally, to place emphasis on certain Heroic Terms or Concepts. This approach is old, perhaps ancient. It was most notably employed by Miguel de Cervantes in the chapter introductions in Don Quixote, which stands as perhaps the greatest account of Heroic Questing ever written. 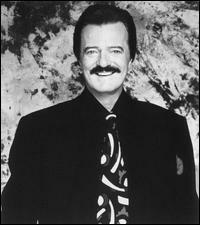 Robert Goulet in Man of La Mancha notwithstanding. “Of the ingenious Contest between Don Quixote and the Canon, with other Accidents”. I just find that these inflections make simple sentences sound more Heroic. Real World Example: My beloved Wife has requested that I Journey with best possible speed to the Liquor Store for more Shiraz. Heroic! Pingback: The Ballad of the Penguin, P-Hustle, and the Turbaned Torpedo | Write Your Own Story!